Today I present to you a mini-script that adds a small house in MCPE 0.12.X/0.13.0. Everything is very simple! You have to find a flat area (7x7 blocks) and take the bone. Then tap on the ground. Sudden you will see a house. Inside there is a crafting table, windows, doors and stairs. Very comfortably. 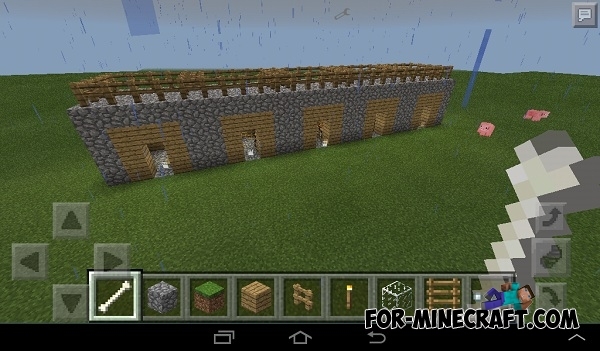 1.8 Doors mod for Minecraft PE 0.11.0 / 0.11.1This mod adds all the doors of Minecraft 1.8 for Minecraft PE!